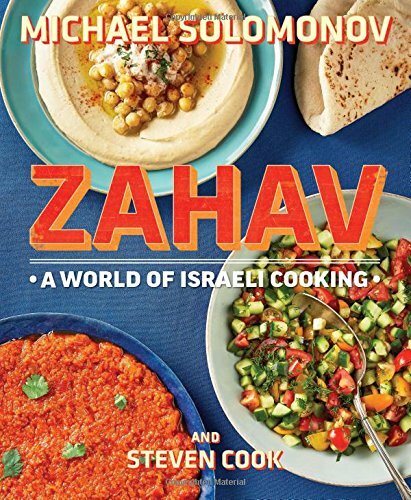 From Zahav: A World of Israeli Cooking. Copyright ©2015 by Michael Solomonov and Steven Cook. Used by permission of Houghton Mifflin Harcourt. All rights reserved. Preheat the oven to 375°F. Spread 1 cup of the salt in an ovenproof skillet or baking dish. Put the beets on the salt and cover with the remaining 4 cups salt. Bake until the beets are tender, about 90 minutes. When they are cool enough to handle, remove the beets from the salt and peel. Set them aside to cool completely. Grate the beets into a mixing bowl using the coarse holes of a box grater. Add the tahini sauce, oil, lemon juice, dill, and mint and season with ½ teaspoon salt. Mix well to blend. Top with more chopped dill and mint and serve at room temperature or cold. Cook’s Note: While he grates the beets on a hand grater, I’ve had excellent results using a food processor fitted with the large-holed grating disk. Pour the mixture through a fine-mesh strainer set over a large mixing bowl, pressing on the solids to extract as much liquid as possible. Discard the solids. Add the tahini to the strained lemon juice in the bowl, along with the cumin and 1 teaspoon of the salt. Whisk the mixture together until smooth (or use a food processor), adding ice water, a few tablespoons at a time, to thin it out. The sauce will lighten in color as you whisk. When the tahini seizes up or tightens, keep adding ice water, bit by bit (about 1½ cups in total), whisking energetically until you have a perfectly smooth, creamy, thick sauce. Taste and add up to 1½ teaspoons more salt and cumin, if you like. If you’re not using the sauce immediately, whisk in a few extra tablespoons of ice water to loosen it before refrigerating. The tahini sauce will keep a week refrigerated, or it can be frozen for up to a month.